they tend to destroy the house. 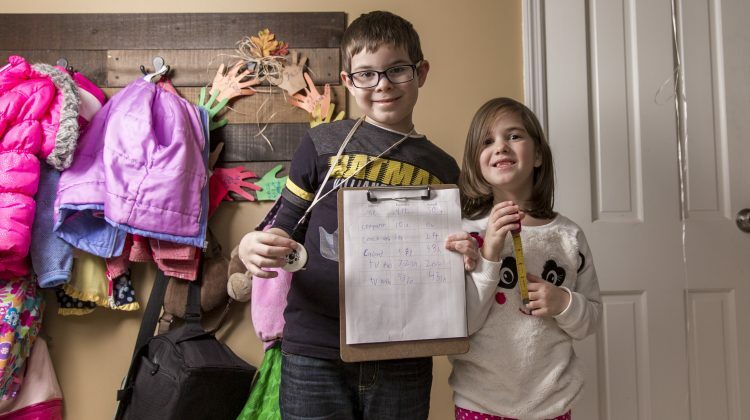 As a mother of four, ages 8, 6, 2, and baby, in a three-bedroom house, I am always weighing the fun factor versus the mess potential when helping my children to direct their energies. With another January fast approaching, we needed a few new ideas. So, we did a quick internet search and found some activities to try out. Then the kids rated how much fun they had and the parents rated the mess. 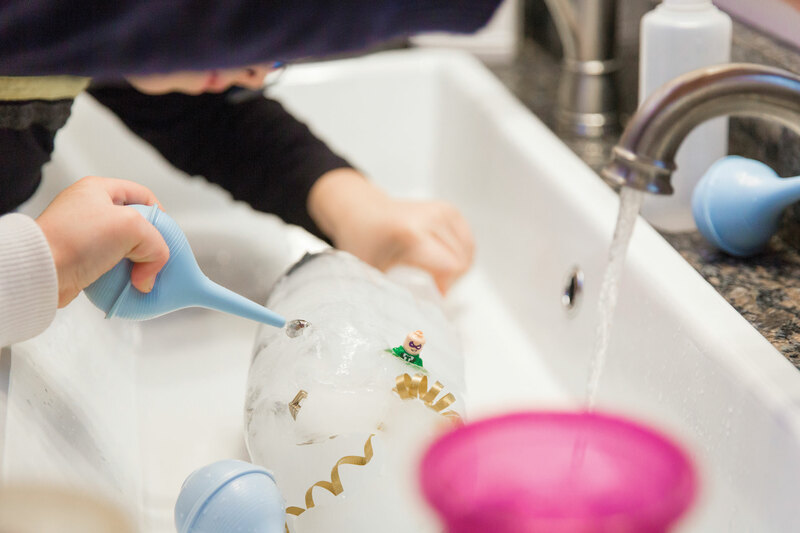 This activity is that classic science experiment of baking soda and vinegar with the fun of toy cars. 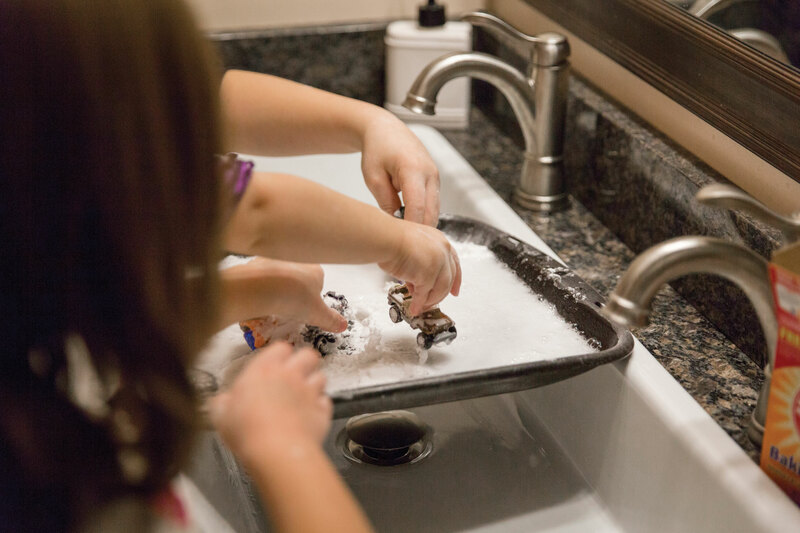 Onto a large tray, we spread out baking soda and the kids spent a while simply playing in the powder, piling snow banks, making tracks, and spilling it onto the counter, floor, and their clothing. Good times! Then I brought out the gallon jug of vinegar and started splashing it over the baking soda coated cars. The kids loved watching the bubbles form and hearing the sizzle of the reaction. However, within a couple minutes, the wow factor had worn off and it was time to clean up. I admit, this activity was my idea. 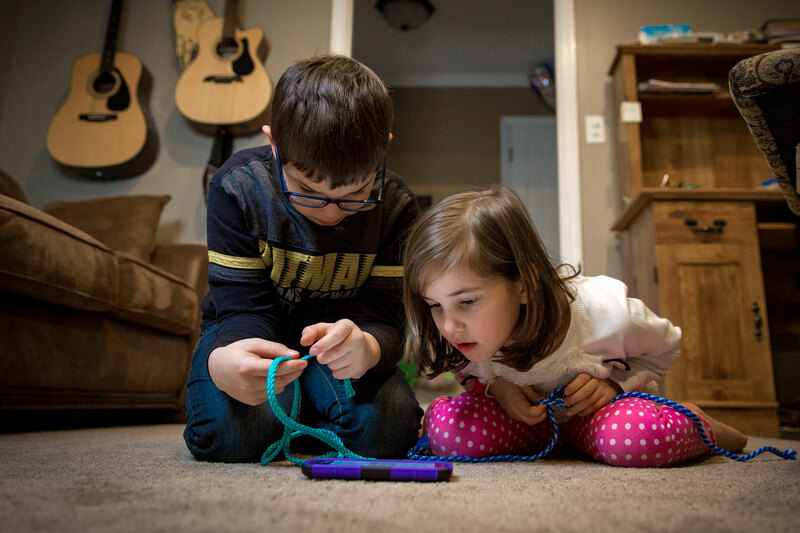 I enjoy yarn arts: knitting, crocheting, and macramé, so I thought perhaps the kids would enjoy learning to tie a few knots as a little introduction into my hobbies. We used nylon cord and found a knot tying tutorial on the computer to help. But, after an attempt or two with no success, my kids were ready to move on. On the bright side, clean up only required rolling the cord back up and putting it back in the cupboard! This activity takes some pre-planning, but it held the kids interest for quite a while and was fun for all of them. I took a plastic pitcher and poured in about 2 inches of water and a small toy or trinket. I put the pitcher in the freezer and then a bit later I added another 2 inches of water and another trinket. In our ice tower we had beads, a block, a bracelet, thread, ribbon, a feather, and a button. There was some stray water on the counters and floor to clean up, but the high mess score also reflects the effort put in to prepare for this activity. Taking inspiration from a measuring worksheet, we made our own charts and the kids chosedifferent objects to measure. 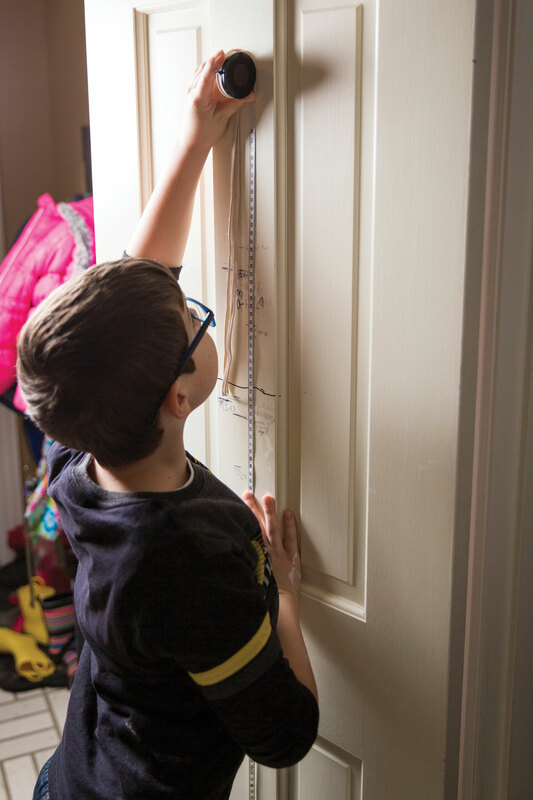 Before measuring, they estimated the length of the object and then compared the true measurements to their guesses. Next time, the kids mentioned that they would like to measure the same objects and compare their estimates in a competition to see who can guess the most accurately. I was quite surprised by how much the kids enjoyed this activity. It occupied a good chunk of time and clean up only required putting away the tape measures and clipboards. 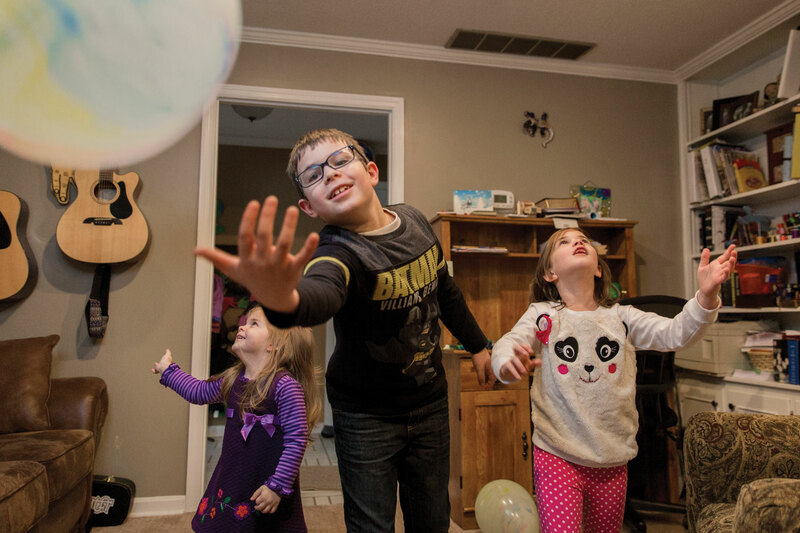 On a list of indoor activities, we found the suggestion to toss a balloon around. We decided to take that advice a little bit further. I challenged the kids to come up with different events using balloons for a Balloon Olympics. They ran races, kicked goals, volleyed around the room, and finally ended with a contest to determine who could make the most obnoxious squeaking sound when releasing air from the neck. They spent more time occupied with this activity than any other, and clean up was a breeze with quick toss of the used balloons in the trash. 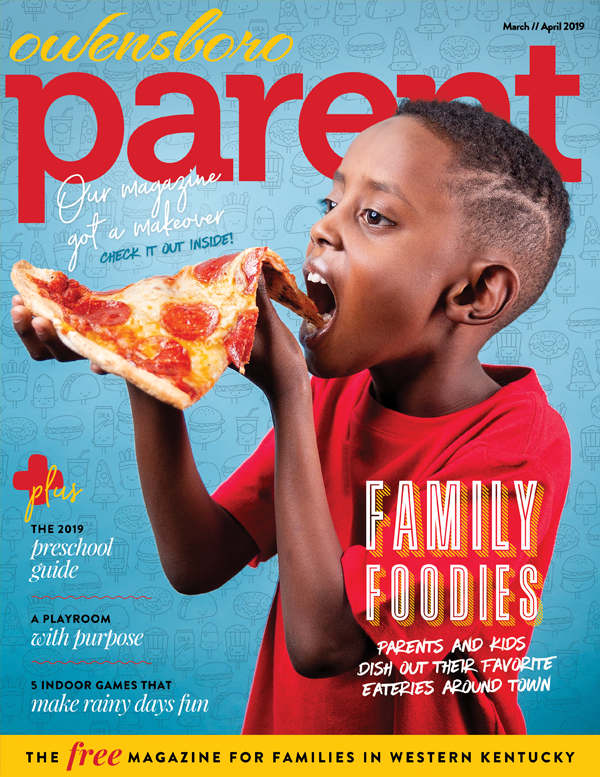 As the excitement of the holidays winds down and the dreary days of winter seem to linger, don’t let the ultimate fun without a mess activity, TV watching, dominate your kids’ days. Try out some of the activities that we tested or there are zillions more ideas online for engaging the little ones. Save your sanity and your house by getting creative with the kids! 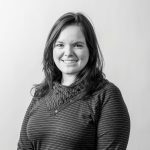 Katie Albers grew up in Owensboro and loved words so much that she became a school librarian and even alphabetized her family: Josh, Katie, Lance, Mallory, Noelle, Oaken, and Polly (the cat).